£5; £3 concessions, free to members, booking essential. 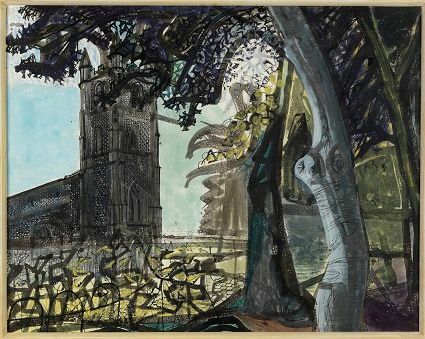 This talk will highlight the radical nature of Bawden's work in the 1920s, drawing comparisons to artists and designers such as Paul Nash and Eric Ravilious. Powers proposes that Bawden was the least romantic among his contemporaries. Alan Powers is a researcher and writer specialising in 20th century British architecture. He is a joint editor of the journal Twentieth Century Architecture for the Twentieth Century Society, chairman of Pollock's Toy Museum in London, and was awarded an Honorary Fellowship by the Royal Institute of British Architects (RIBA) in 2008. His new book on the artist and designer Eric Ravilious will be published later this year.